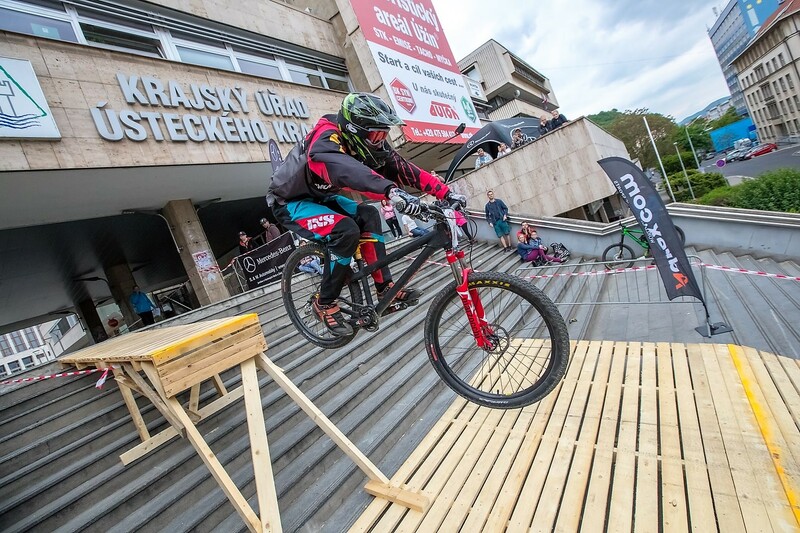 Last stop of the Bulgarian Urban DH series took place in Pleven, seventh most populous city in Bulgaria located 100 km northwestern from previous race in Gabrovo. 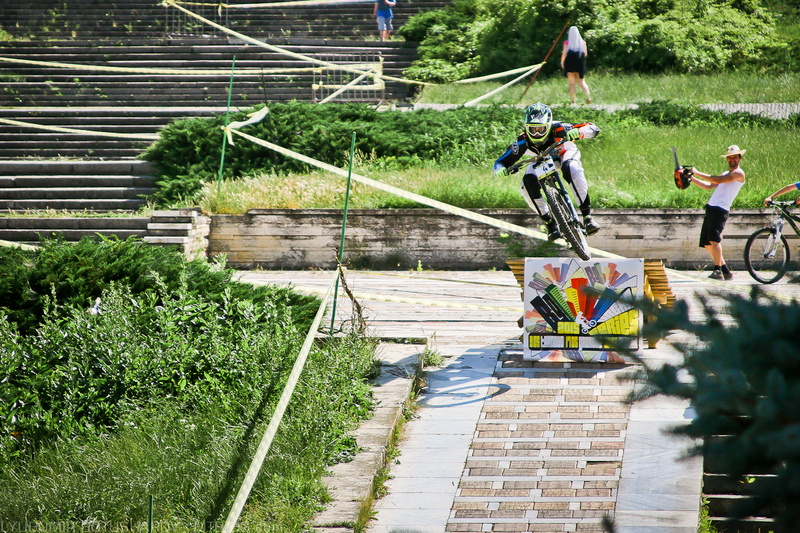 The track was 1 km long with elevation of 120 meters which made it the most pedally track in Bulgarian urban DH series. Start was located in front of the entrance to Pleven Panorama monument which was cunstructed in 1977 in honor of the 100th anniversary of battles which led to the liberation of Bulgaria. 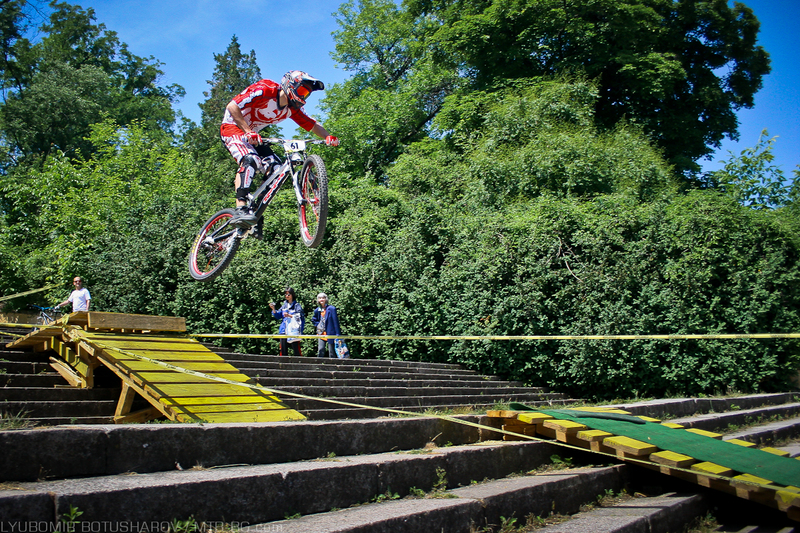 All riders were pedaling straight from start and hitting small wooden jumps. One of the top contenders, Stivian Gatev. 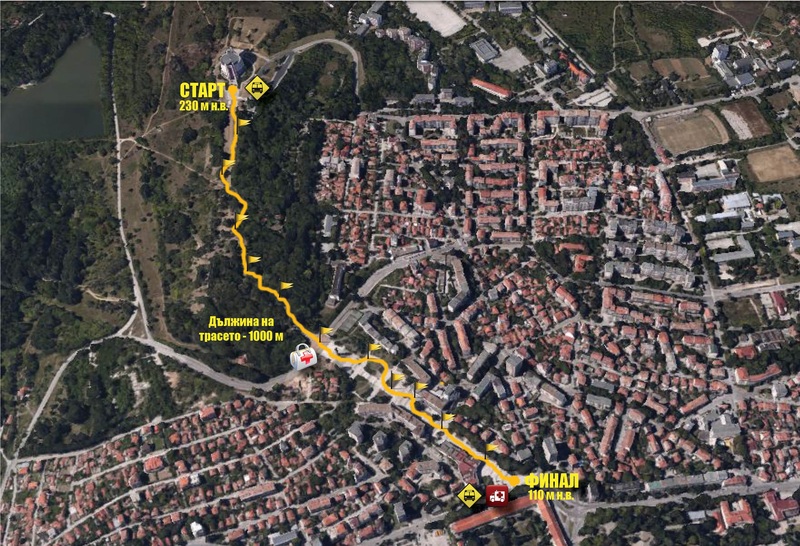 Track went through Skobelev Park. 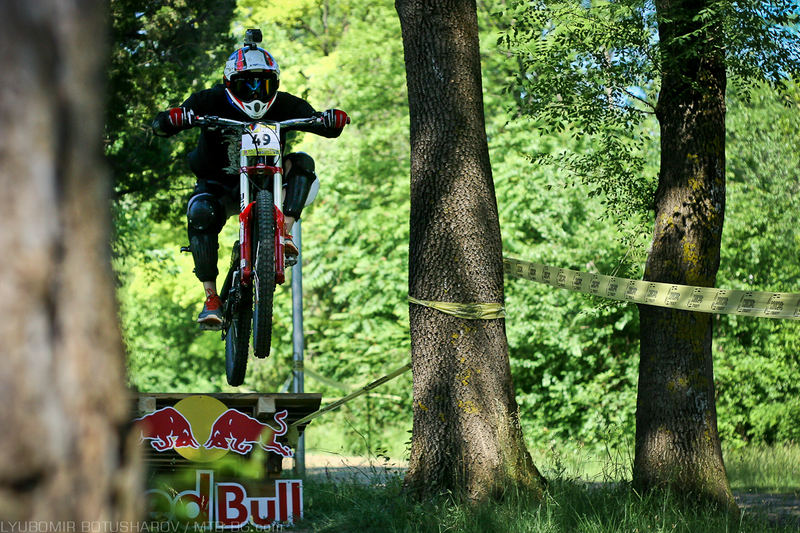 Viktor Rangelov on a jump between trees. 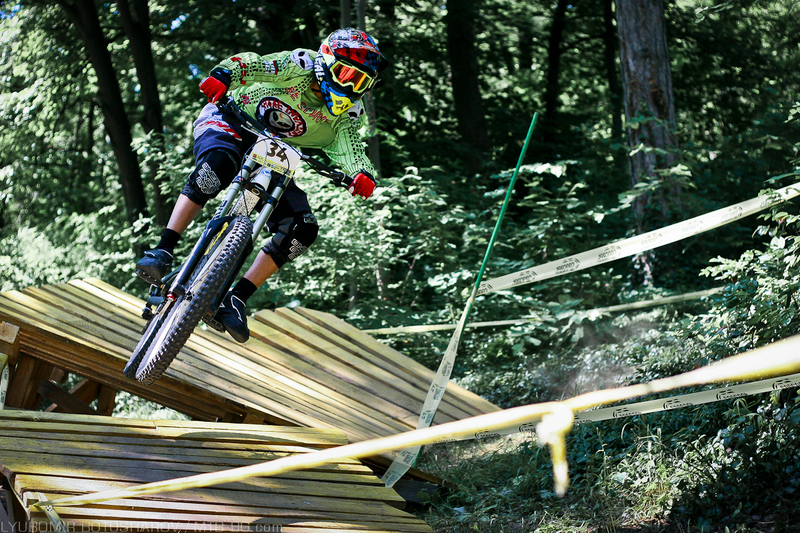 Georgi Levi turning on wooden berm. 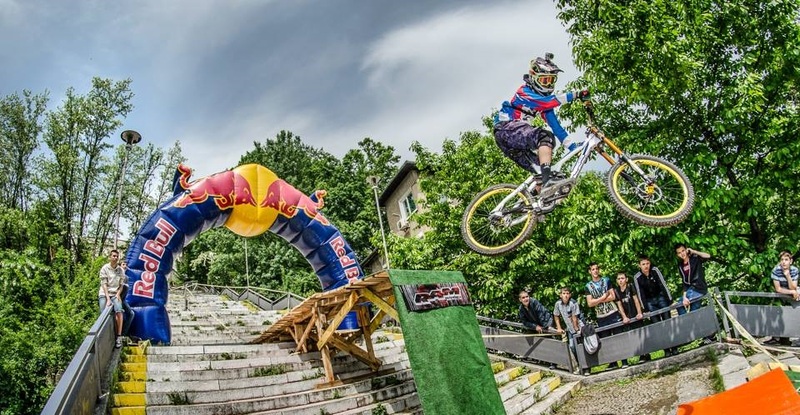 Leaving the park, riders experienced first gnarly stairs section. 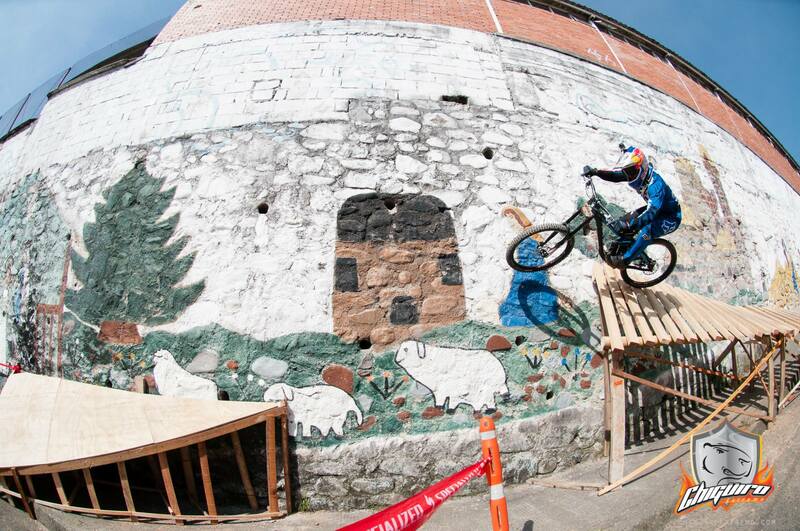 Valentin Tenev putting some style on a gap. Kaloyan Michev dropping off into wooden landing. 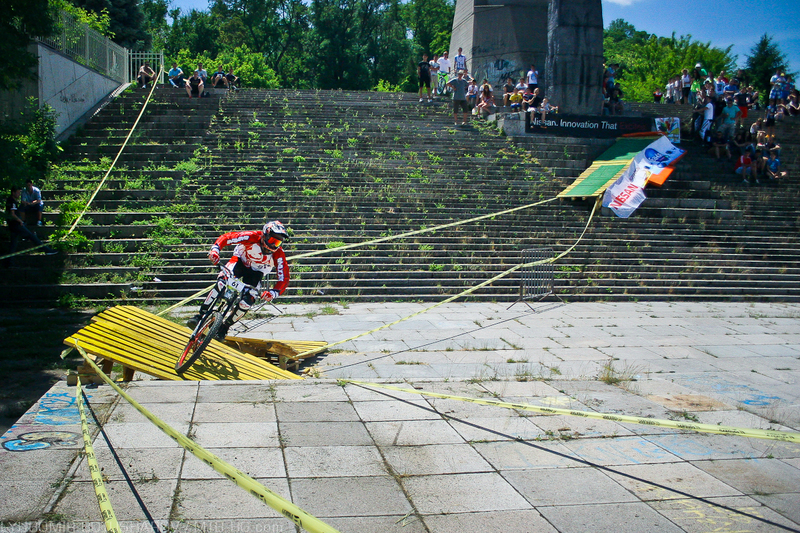 Track in Pleven had characteristic look with wide sets of stairs all the way to finish line. 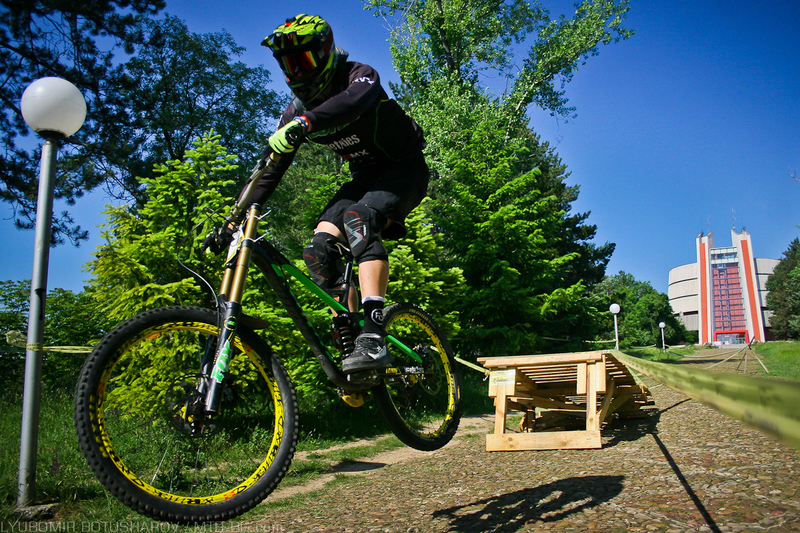 Valentin Tenev using wooden berm to keep speed into next section. Which ended with huge drop off. Have you seen better chuck-up style? The drop off from another view. 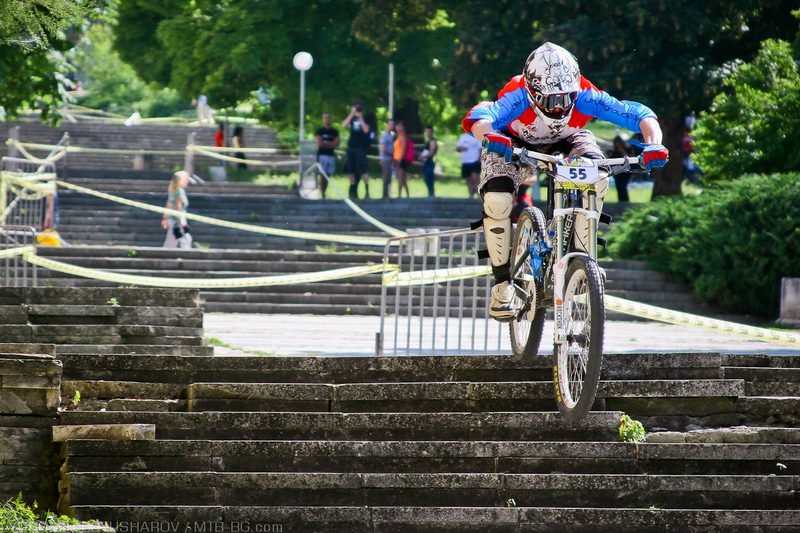 Top contender in Junior category, Martin Nenchev, smashing the track. 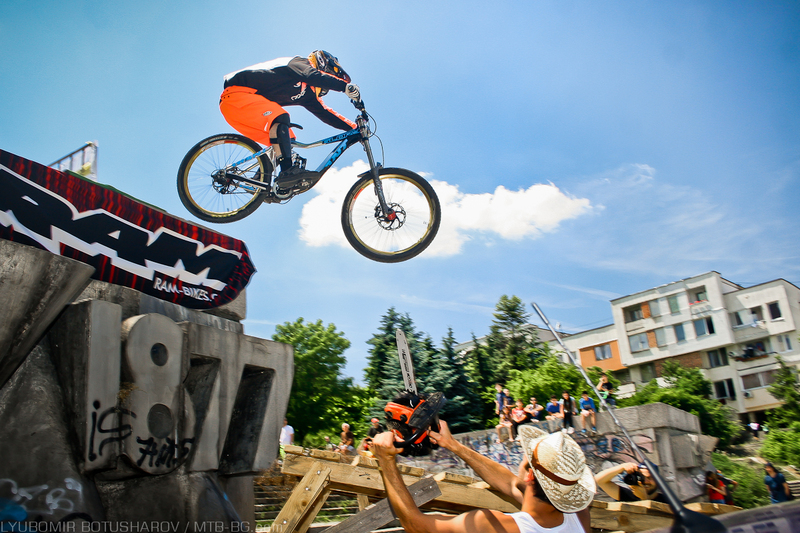 The jump from another view. 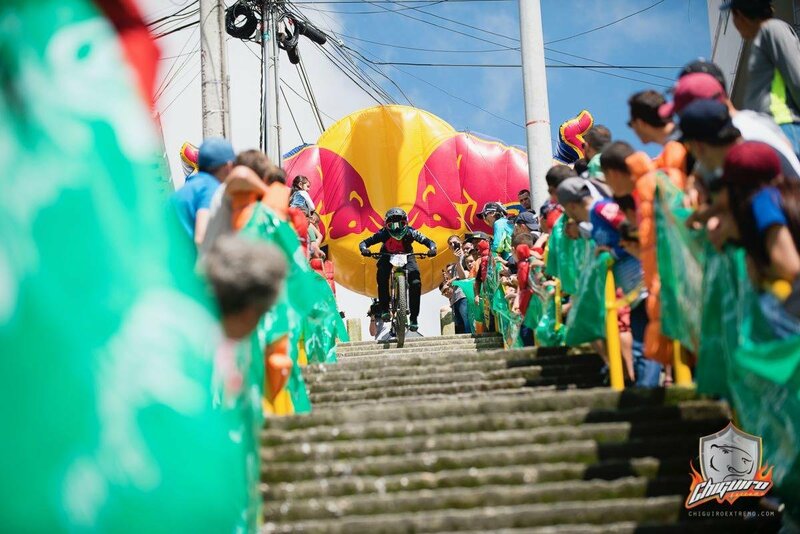 Did we mention stairs? 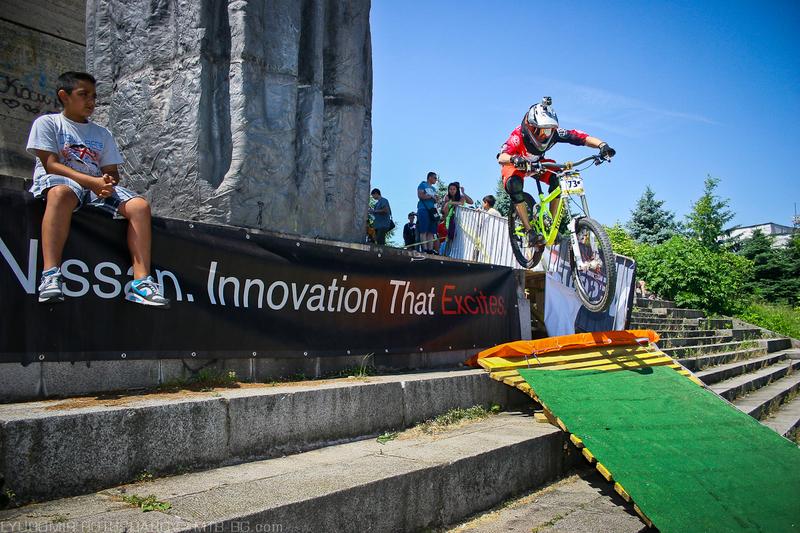 Petko Dadzhalov ripping it into the finish line. 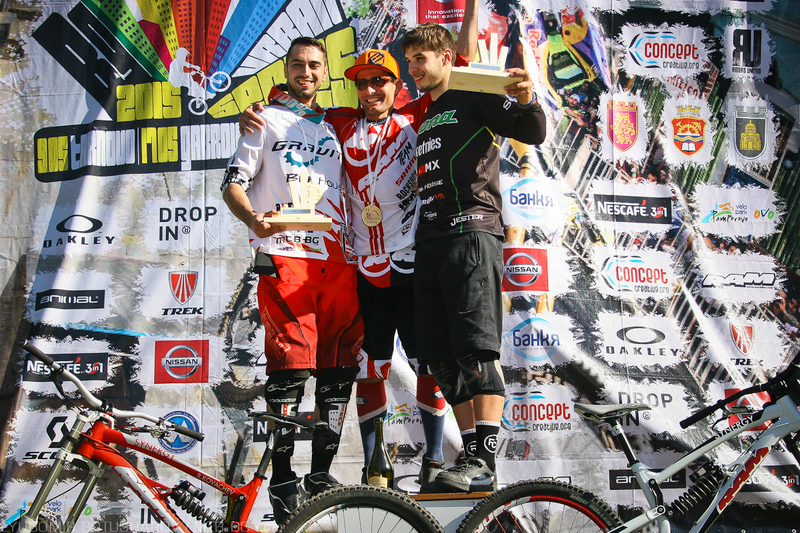 For more results of the race in different categories visit Mtb-bg.com. 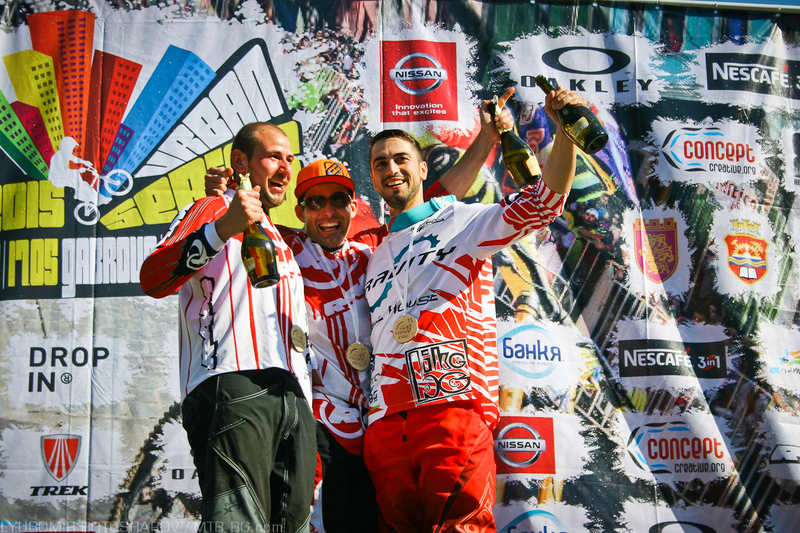 Congratulation to Ivan Kolev, Rosen Kovachev and Stivian Gatev who got to the final podiums. 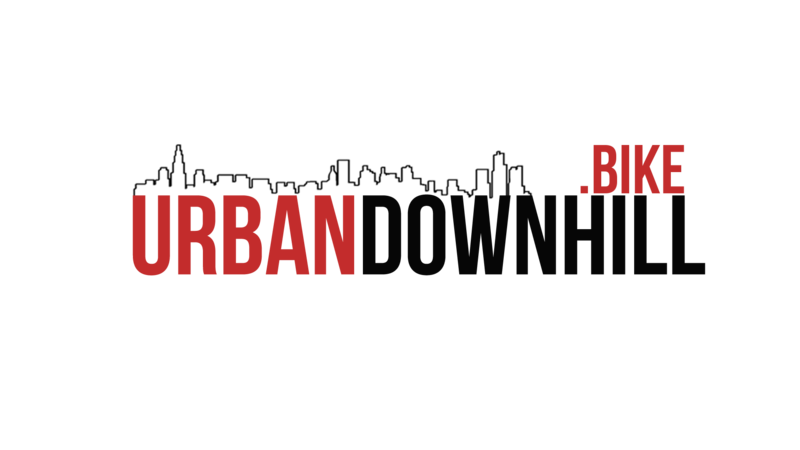 Each of them recieved invitation from Extreme Sport Fabrik to participate in riders list of City Downhill World Tour Bratislava 2015. 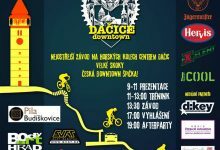 As CDWT Bratislava was already held and was sadly cancelled during finals there are no results from Bratislava this year. 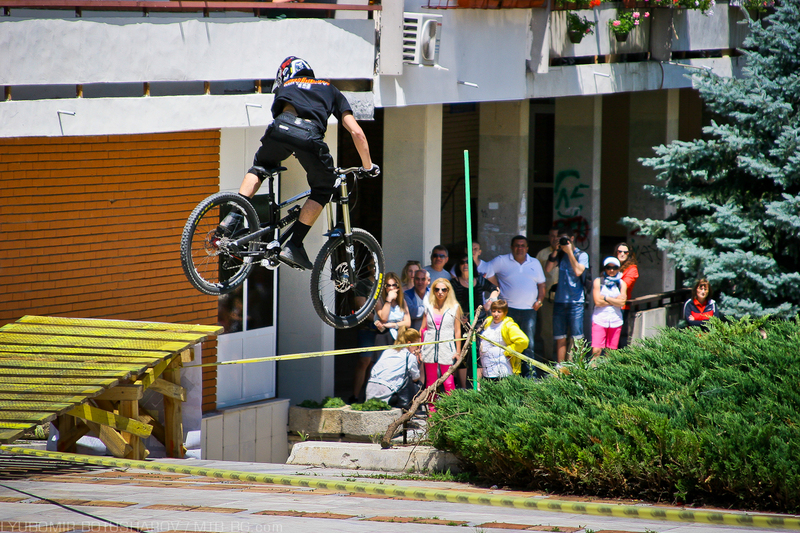 If you have not seen previous races of Bulgarian Urban DH Series, check reports from Gabrovo and Veliko Tarnovo.